Have you ever thought about turning your kitchen floor into concrete? Think about it. It’s the one place that you are constantly cleaning and wiping. You are always dropping sharp objects, leaving nicks and gouges and chipping in whatever flooring you have in place. It’s just constant maintenance. Now concrete on the other hand can be made to look like any surface you want. With new advances in concrete finishes your floor can look exactly like any tile you ever wanted or even a wood finish. The difference is, no maintenance. Concrete is virtually indestructible. The life span of your floor is huge and if you get tired of the look, a quick surface renewal and you can have a brand now look without the inconvenience of tearing up the old floor and laying down the new. 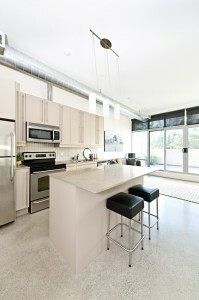 For information on concrete floors and designs for your home give us a call at Hardscapes Inc.